Once upon a time, the hart (or stag) was considered to be one of the most sought-after prey animals that could be hunted. 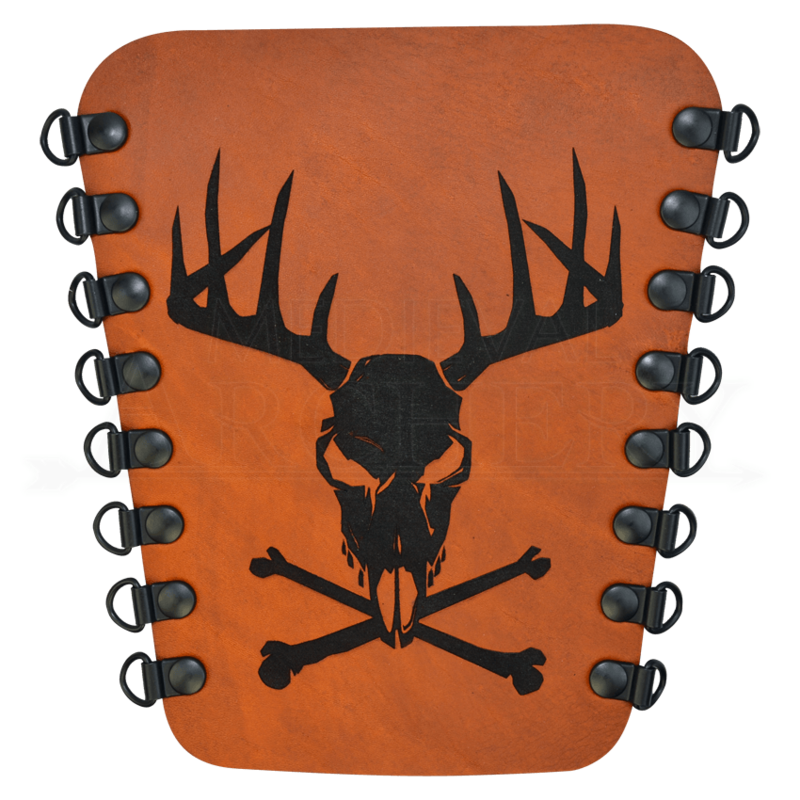 In homage to that notion, this Death Hart Archers Arm Guard features the vengeful skull of a hart that fell to a hunters arrow. Any archer looking to protect their arm while practicing or firing their bow will find that this this bracer is right up their alley, having been made from high quality 7/8 oz. leather, which provides good flexibility, comfort, and protection, all rolled into one stylish bracer. Add in that it features a stunning design that depicts a wicked looking stag skull, complete with crossed bones at its tip, and you have not only a functional piece of any archers attire, but also a wicked accessory that will add a touch of style and fearsome look to any ensemble you might wear. That makes it a great costume piece as well as a fully functional arm guard. The sides of the bracer feature speed lacers, which allow the bracer to be donned swiftly and easily ensuring a quick and comfortable fit. Please note that the bracer is sold individually and not as a pair. This bracer is made right here in the USA and is exclusive to our shop. 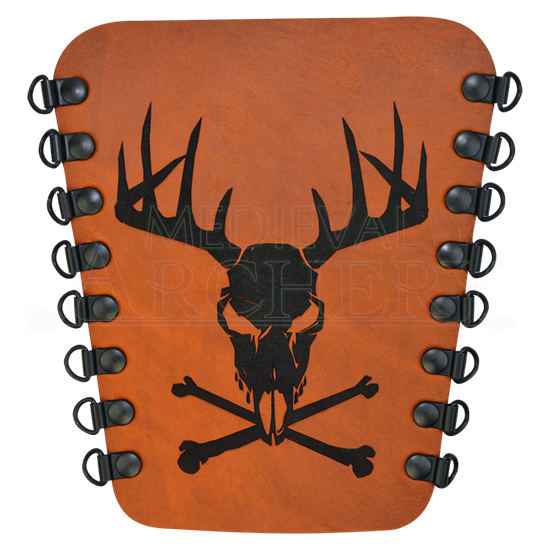 If you are planning on putting together an evil archer costume or practicing a little archery (or both), then this Death Hart Archers Arm Guard is just the item to add to your wish list. Not only will it enhance your look and style with its wicked design, but it will also keep your arm safe and secure from any potential bowstring mishaps.